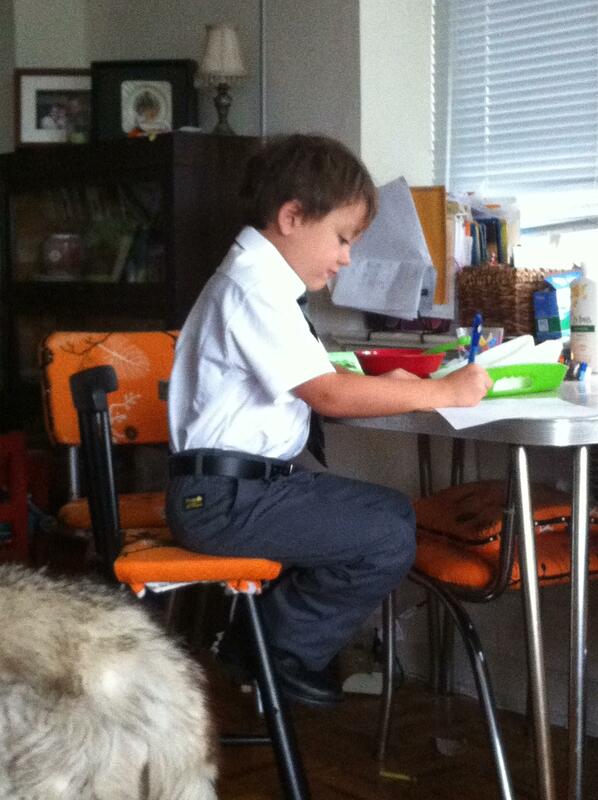 B finished his healthy breakfast and had time for some drawing before it was time to leave for school. Why can’t all our mornings be so orderly? This entry was posted in First Grade, imagineering, Now we are six, the fam by Southern Girl. Bookmark the permalink.